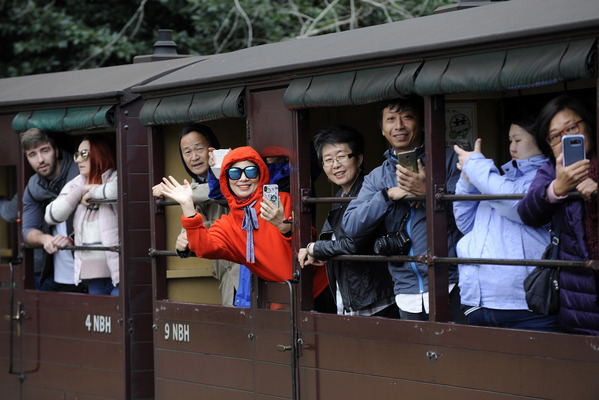 Victoria’s iconic steam railway Puffing Billy celebrated 20 years since the reopening of the Lakeside to Gembrook line on Thursday 18 October. The day also celebrated the reintroduction of locomotive 14A, which hauled the first train on the line following the reopening in 1998. For the past 12 months Puffing Billy has been converting 14A from a coal fuelled loco to light oil burning loco. The oil conversion reduces the risk of sparks catching on the dense forest surrounding the tracks and allows trains to safely use the railway during the dry summer season. The original Upper Ferntree Gully to Gembrook line was officially opened in December 1900, however services ceased in August 1953 following a series of landslides. 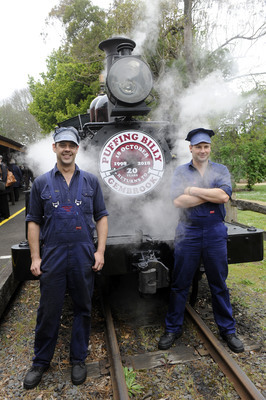 In 1955, the Puffing Billy Preservation Society was formed to save the railway from permanent closure. This saw the railway return to operation between Belgrave and Menzies Creek by 1962, followed by additional sections of the line. It wasn’t until February 1991 that reconstruction of the Lakeside to Gembrook section commenced. 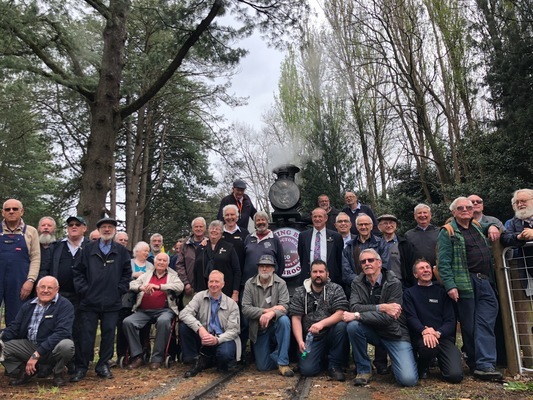 The ambitious undertaking involved the reconstruction of four bridges, four stations and 11km of railway, most of which was completed by around 256 Puffing Billy Preservation Society Volunteers, with some help from the Army Reserves. The line officially reopened on Sunday 18 October 1998, with the first train to travel the line from Lakeside to Gembrook being hauled by 14A. 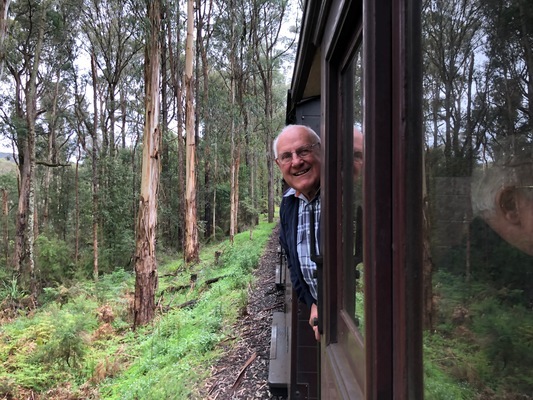 Volunteers who worked on the rebuilding of the Lakeside to Gembrook restoration were invited to the anniversary celebration, which saw them travel on the train and enjoy afternoon tea to reminisce about their experience. 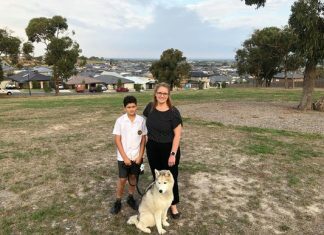 “Fundraising was a big part of what made the rail a reality, along with some Government grants” said John Shaw, who was the Project Manager 20 years ago. “At that time Puffing Billy was only breaking even, so there wasn’t a lot of money around. We decided that we would build everything ourselves – even the bridges. “If it wasn’t for those who put up a fight all those years ago we might not have had a rail here at all today,” Mr Shaw added. The build cost around $2.5 million, a figure made possible by the hours of donated labour. 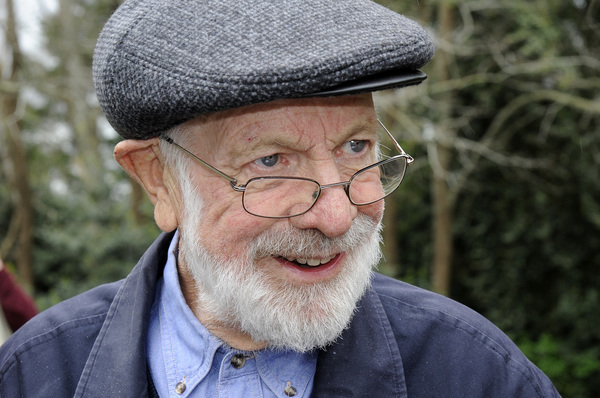 “I remember the first work party; we camped right here by the track,” Mr Sanderson said at the Gembrook Station. “It was hard work – I remember the first day being really hot – but it really was a labour of love. 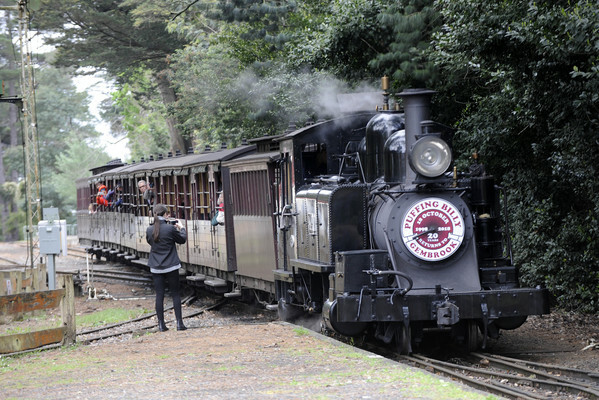 Puffing Billy Interim CEO, Steve O’Brien, said projections indicate that Puffing Billy could attract up to 730,000 passengers by 2027 and the Lakeside to Gembrook section, combined with the reintroduction of 14A as an oil burning loco, will play a pivotal role in helping the railway cater for this increased demand. “There was so much passion put in to building the rail; it’s more than just a train or a tourist service, it connects the whole community.